Upon booting up Ninja Gaiden 3, my nerves began to race uncontrollably. I was nervous because I had heard so much about the game. Team Ninja had clearly outlined several things they would be removing/adding well before the game?s release, so I knew the game would be more than a bit different from past installments. Yet, against my own better judgement, I convinced myself to trust Yosuke Hayashi and the new Team Ninja to make it phenomenal. Sure Itagaki demanded all of the credit and attention for Ninja Gaiden and Ninja Gaiden 2, but he didn?t craft those games single-handedly. I convinced myself that because Itagaki was gone, Team Ninja would have no choice but to tread carefully with such a prized franchise, reboot or not. Yet as I booted up the game for the first time, my nerves were racing. Because even though I was giving them the benefit of the doubt, I knew that there was still the possibility that, with the rightful lead designer gone, they would ruin the Ninja Gaiden series. And after they did, there would be no turning back. 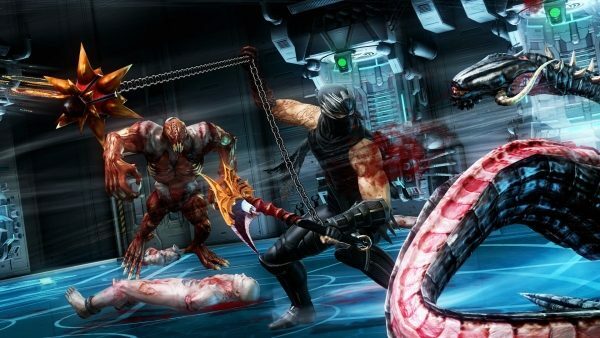 Ninja Gaiden 3 fancies itself a series reboot, but it has so little in common with past games that it would probably have made more sense to present it as a new franchise altogether. The story in Ninja Gaiden 3 takes itself more seriously than in any of the past games. Protagonist Ryu is cursed by a masked villain, with a curse that infects his body with the hatred and anguish of the countless souls Ryu?s Dragon Sword has absorbed. As he battles to stop said villain from completing a plan to destroy and recreate the world, he must also battle himself as his body starts to suffer from the effects of the curse. I found the story in the game to be moderately entertaining. The team has clearly put more time and thought into the narrative this time around than in past games. However, the way the game tries (and fails) to humanize Ryu does the series a great disservice. Ryu Hayabusa is indeed a murderer. He may be murdering for the greater good, but he?s a murderer none the less. In the past NG games, this fact wasn?t only apparent but it was emphasized. Ryu barely spoke in the past games. There was nothing to say; regardless of what was said, the player still needed to end up bloodily killing dozens of foes. In this game, someone calls Ryu a murderer and that makes him quite sad. Yes, master ninja Ryu Hayabusa is sad because someone called him a name. He entertains a love interest and her daughter, even taking a role as a father figure for the young girl and emotionally connecting to her. It is as sickening as it sounds. Instead of the bold, fearsome ninja hero we saw in the first games, we get a conflicted, confused ninja that raises kids and feels remorse for killing villains. It isn?t pretty. 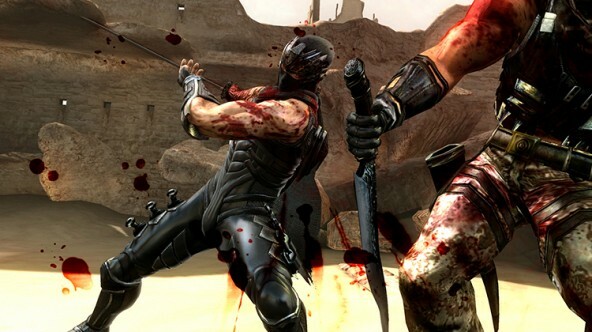 Ninja Gaiden 3?s graphics hold up well. It doesn?t look worlds better than Ninja Gaiden Sigma 2, but it is polished and an improvement overall. Pre-rendered cutscenes look fine, and the game engine looks nice in general. The environments and enemies are detailed and clear, even in the midst of fast, gritty combat, you can still see everything clearly. I also appreciated overall variety in the stages. The game suffers from a severe framerate drop when too many things are happening on the screen, but this only happened about twice in my entire time with the game. I really didn?t like the way the blood looked like red ribbons floating through the air, but it was kind of cool I guess. All said, the graphics are an improvement over Ninja Gaiden 2 but not by a whole lot. The same can be said about the music, which is appropriate and more noticeable than in past games but not remarkable. The fast paced punk/metal/rock that plays during combat isn?t great but I?m a fan of some of the slow, instrumental stuff that plays during cutscenes and story segments. I don?t want to piss of anyone who liked the music in the older games but, it never really made an impact on me. I?d say this soundtrack did better in that regard. I told myself that no matter how crappy the story, visuals or any other component of Ninja Gaiden 3 was, I would still be a fan if the game-play was tight. As always, the biggest part of the game-play is the combat. There?s really no easy way to say this but I need to get it out of the way: you will use only one weapon throughout the entirety of Ninja Gaiden 3 and that is a classic katana. That?s right; where older games were praised for their expanse of weapons and combos, this title trades it all in for just the katana. 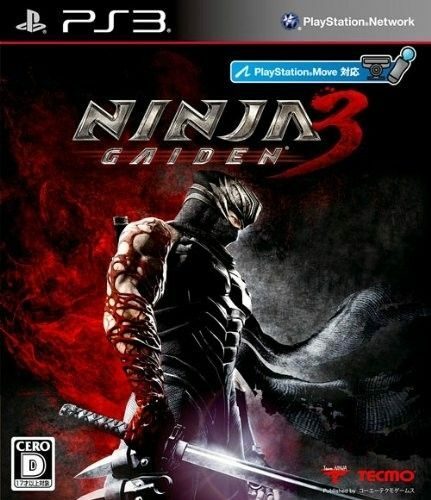 Since the release of this game the developers have revealed that free weapons are coming to the game via DLC, but that hardly changes what?s on Ninja Gaiden 3?s disc. Ninja Gaiden has always featured a wide variety of main weapons, but this game only features one. The only reason I could imagine the team would make such a decision is because of the QTEs, which I?ll get to in a moment. I don?t know what Team Ninja did with all of Ryu?s weapons, but they must?ve done the same thing to all the items. Ryu no longer collects money since there are no items and no shops. Series fans are accustomed to using old man Muramasa?s shop to buy health and ki restore items, weapons and upgrades. This entire system is gone, and the player needn?t worry about an item, an upgrade or a gold coin for the duration of the game. No upgrades = no progression, and the game really suffers from this. Progressing through the stages is linear in comparison to past games, where items, weapons, and enemies could be discovered in different places throughout the stages. Now there?s nothing to discover, find or collect at all and moving through a stage is much more streamlined. The new platforming components were pretty wretched in my opinion. I especially disliked the wall climbing. I?m not really sure what, but something about the timing or responsiveness during that sequence made it just so irritating and ineffective. The combat is great when you aren?t being spammed with QTEs. Yes, as if the act of adding QTEs wasn?t bad enough, the developers also had the audacity to use them so frequently that at some times you?re absolutely spammed with them. These sequences slow the action down and feel illegitimate in the game formula. Once I was pulling off a ?steel on bone? attack every few seconds, I thought I understood why Team Ninja had avoided all of the other weapons ? because they?d have to design QTEs for each and every one, just so that they?d perform as well as the sword. You?ll also see QTEs for jumping from a building, using a falcon dive air kill, and several unique ones during boss fights. No matter what you do in Ninja Gaiden 3, you can?t get away from QTEs and I (like series creator Itagaki) have never really cared for them. These issues aside, the combat holds up wonderfully. Ryu gets the full use out of his one and only weapon as he executes dozens of stylish combos and techniques. The controls are air tight and responsive. There is a comprehensive move list that shows you the astonishing amount of things the katana can do. Combat is fast, bloody and great, as expected. The obliteration techniques from NG2 have returned and they work as well as I remember. Unfortunately, the removal of dismemberments and lots of gore makes most of the brutal finishers look ridiculous. Shouldn?t that guy be in three pieces on the ground after being cut that way quite that many times? 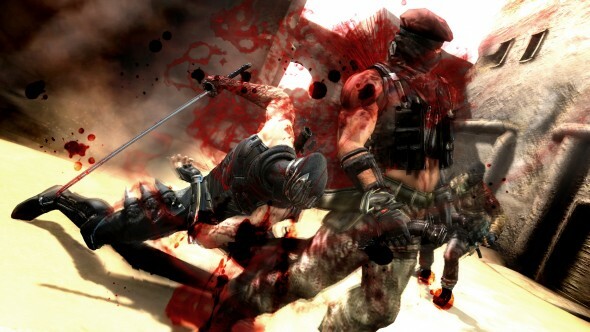 Perhaps, but he won?t be in Ninja Gaiden 3. The new ultimate technique allows Ryu to instantly kill several enemies in a flashy display, and is only accessible after killing a string of enemies. This looks pretty cool, but it replaces the ultimate techniques from the past games; you know, the ones you held down Y/triangle to do. I would much rather have had those because they were a lot more practical but that?s the least of my gripes with this game. Ninpo returns, but Ryu only gets one spell throughout the game. That?s right: just one. That flashy dragon summoning ninpo you?ve surely seen on the commercials by now? That is the only one you get to use. Ever. Like weapons, past Ninja Gaiden games also had a variety of ninpo spells, but this time around you?re stuck with just one. This lack of weapons and abilities destroys the feeling of progression and growth present in the past games. At this point, the weapons and abilities Ryu has when the game begins are the same ones he?ll have at the end of the game, and that is unacceptable. The shuriken and bow return as projectiles, but the bow now has auto-target. I thought the auto-target was a nice touch, but it works altogether too well. No matter where you or the enemy are positioned on the screen, press the aim button and Ryu will lock immediately onto an enemy with his bow, leaving the easy part of hitting the fire button up to you. I didn?t love this, but I didn?t take any offense from it either. The series? notoriously bad camera has been improved as well, although it still rears its ugly head from time to time. All in all the combat system is competent. Thankfully, Team Ninja didn?t throw that component in the garbage as well. Enemy variety (during the campaign, at least) is quite modest in comparison to earlier games. You?ll face several of the same enemies throughout the duration of the campaign, even at the very end. This is disappointing because past series entries continued to introduce stronger opponents to the player throughout the game. The enemy AI on normal mode is very easy to defeat. Things heat up a little more on the harder difficulties, but this game has the absolute easiest normal mode play-through in the history of the series. I got killed maybe three or four times throughout the course of the entire game. I died a lot more often from failing the terrible wall climbing activity. This watered down, simplified enemy AI makes the game feel like a shadow of the impossibly difficult past games. At least here they made hard mode available from the beginning. You?ll probably want to roll with that. 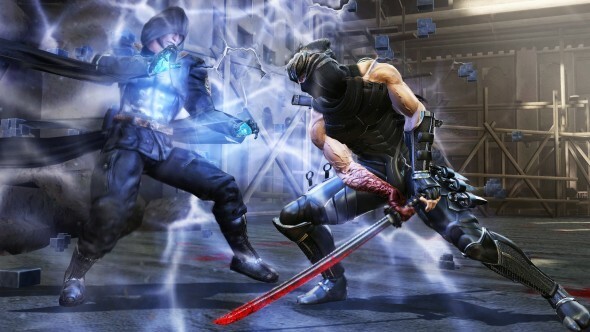 You?ll probably spend a lot more time in Ninja Gaiden 3?s online mode than its offline mode. This is without a doubt the most comprehensive online component the series has ever seen. Players can connect to the internet to play in two modes: trial mode and clan battle. You get to customize your very own ninja for use in these modes, and you unlock more items as you play. The trial mode has returned from Ninja Gaiden Sigma 2. Players can team up with an online partner or go alone to take on dozens of ranked challenges of varying difficulty. Just completing them isn?t good enough though. If you want to rank on the leaderboards, you?ll have to do it faster and flashier than the next guy. 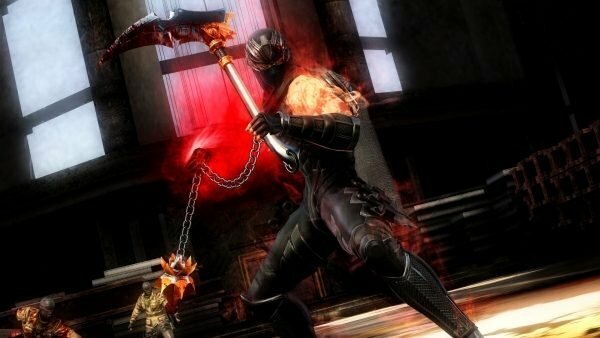 Many of the enemies and stages from past Ninja Gaiden games have returned for the trial mode, which means you?ll certainly find more of challenge here than in the campaign. Clan battle fills out the rest of the online suite. Up to eight players can gather in one ninja deathmatch extrodinaire. 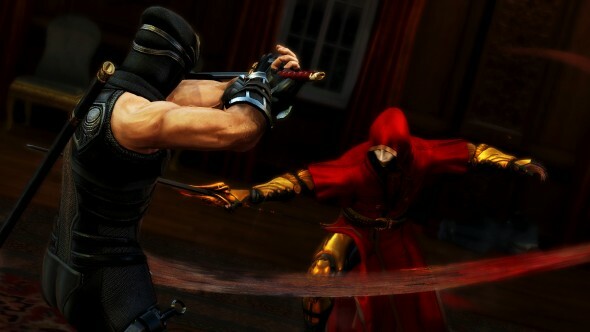 Players can use stealth tactics, projectiles and of course, that classic katana, to defeat other players. The mode is a breath of fresh air. Players fight up close and personally instead of from a great distance like in shooting games. Your unnamed ninja is fledgling at first, but he?ll possess more skills than Ryu by the time you?ve leveled him up a ways. You can level up your katana to gain new combos and attacks, and level up your ninja to give him new abilities and ninpo. What?s that I smell? Is that?progression? It is! You can gain experience points in both modes and skills learned in clan mode transfer to trial mode and vice versa. Much of the content in this mode appears to have been imported from NGS2, which is absolutely not a problem after being subjected to the campaign in Ninja Gaiden 3. Also, don?t forget you?ll need an online pass to play. In summary, I can totally see genre fans who?ve never played a Ninja Gaiden game (what an odd, odd fan you are) having a wonderful time with Ninja Gaiden 3. It sports bold visuals, addictive combat, an entertaining enough (if flawed) story and a practically flawless online suite, effectively meriting its purchase price. 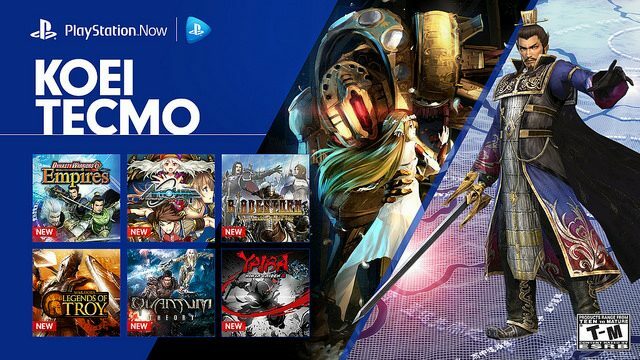 However, longtime series fans will be more than disappointed by its lack of weapons, items, upgrades, enemy variety and general sense of progression. The game has been changed so severely and so watered down from past installments that fans will hardly recognize it. Out with the absurdly high difficulty and in with a screen filling, instantly killing ultimate technique. Out with dismemberments and in with wall climbing. Out with progression and weapon variety and in with QTEs. It?s practically sacrilege. 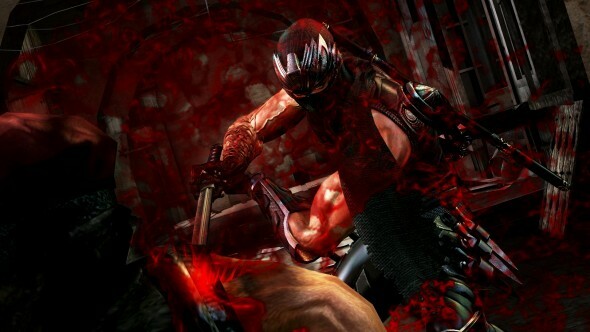 Fans who watched Itagaki leave Team Ninja felt a fear being born in the pit of their stomachs. This fear was that the new lead designer would take the acclaimed action series to a new low by infinitely watering it down and throwing all the components fans care about in the trash. I cannot describe the feeling of having this fear confirmed. 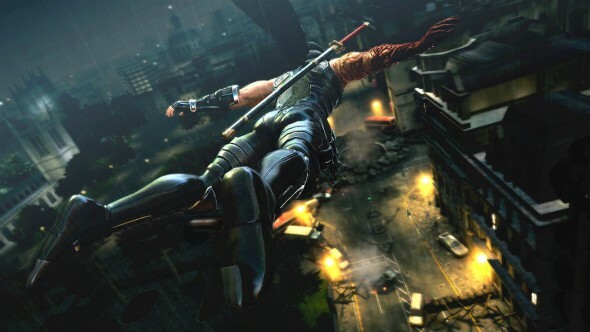 Take a bet on Ninja Gaiden 3 as a newcomer and you will most likely enjoy enough of the game to make it worth your money. 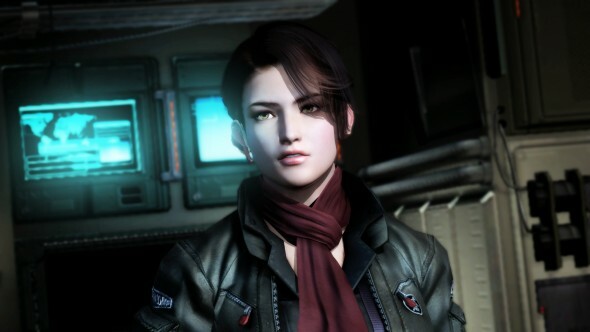 Take the same bet as a series fan, and you?ll find that Yosuke Hayashi and the boys at Team Ninja are more concerned with getting new fans than keeping you happy. You?ll be disappointed, disheartened, and most importantly, you?ll be hurt. Yet, at the end of the day, you have nobody but yourself to blame. Because somewhere, deep within the corners of your mind, you knew this would happen.